Last December about 60 high school girls attended the kickoff event for the Raleigh-Durham, North Carolina, chapter of ChickTech. ChickTech is a registered nonprofit with a mission of encouraging young women to pursue technology-based careers by facilitating hands-on, technology-centric events and workshops. In this post, Roshni Pattath shares her experience --- and the instruction you need to do this workshop yourself! The Raleigh-Durham chapter of ChickTech was formed in December 2016 under the leadership of Preethi Thomas and Jen Albertson. Over the past year we have focused on fundraising for the high school kickoff, workshop planning and hosting various career events. We're happy to report that the kickoff was a huge success! The high school girls for our program were chosen on the basis of teacher nominations from Wake and Durham County schools. The 100 girls chosen from the nominations were sent an invitation to register for a workshop at the kickoff event. Topics included robotics (creating a mini Arduino robot that circumvents a number of challenges in a game format), 3D printing (learning the basics of modeling by creating tessellations with 3D-printed stamps), video production (fundamental techniques of shooting, editing and lighting), mobile app development (basics of user design, finding a problem to solve and using App Inventor to build an Android app) and e-wearables. The workshops were led by a team of enthusiastic professionals from various tech companies in the area, and each participant had a finished project to proudly take away. During the planning phase of the kickoff event, workshop co-leads myself and Bihan Zhang were certain we wanted to include an e-wearable activity, having been inspired after a volunteering experience at Pearl Hacks, a hackathon for women and girls hosted by the University of North Carolina at Chapel Hill. 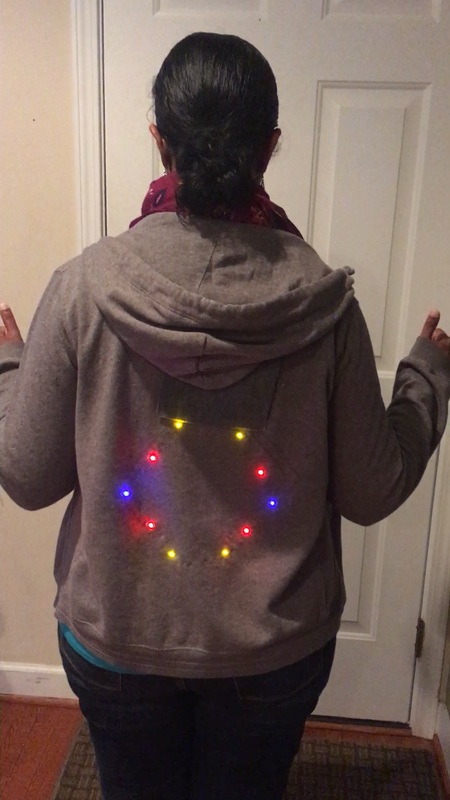 As a representative of ChickTech, I had participated in the Raleigh Mini-Maker Faire held at Wake Tech Community College in September 2017 with this prototype of a lighted jacket, which impressed many and resulted in more volunteers signing up to help with ChickTech! We decided to work from a tutorial for creating a lighted jacket that could be used by cyclists to indicate left and right turns. This would not only be a hands-on workshop for the girls with coding and circuitry but would also result in a useful end product. We reached out to SparkFun for a hardware donation of LilyPad Arduino USBs, LilyPad LEDs, conductive thread and LilyPad button boards through the Community Partnership Program. We used a few materials and changed the Arduino code in the tutorial a bit to make it easier for the girls to complete the project in just two days (8–10 hours). The e-wearable workshop was among the first to fill up, so it was great to have so many volunteers. ChickTech provided the jackets, and the girls quickly grasped the schema and code behind the project. They were curious about what each line of the Arduino code meant and how it worked with the circuit they had sewn. Even though the process required a great deal of sewing, the excitement about their end product kept them going with a lot of patience. The girls helped each other when needed. All of the participants were excited and proud to show off the jackets to their parents and relatives during the tech show at the end of the two-day event. A few girls demonstrated the jacket to everyone who attended the event during the final celebration. 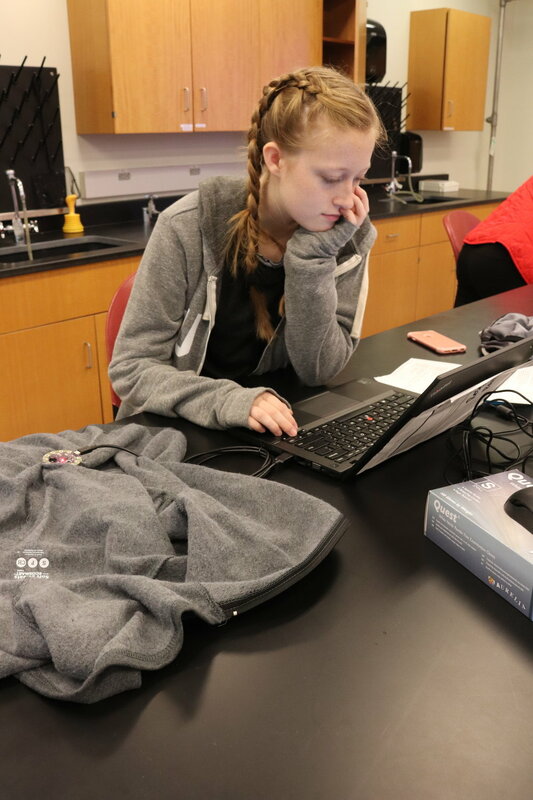 The e-wearable workshop was a fulfilling and memorable experience, and ChickTech Raleigh-Durham is extremely thankful to SparkFun for the generous contribution. Want to make your own turn-signal biking jacket? Roshni Pattath has been a quality engineer at Red Hat for the past six years. She earned a master’s in computer science from the University of North Carolina at Greensboro and is passionate about engaging girls in technology. 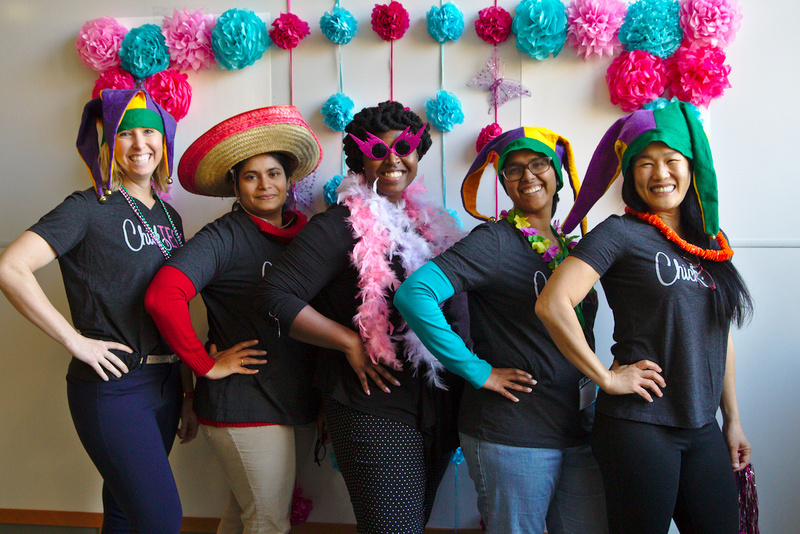 Roshni volunteers as activities and workshops lead for the Raleigh-Durham chapter of ChickTech. Whenever she gets a break from being a mother of a toddler and a preschooler (with the help of an extremely supportive husband), she delves into arts and crafts. She also enjoys volunteering for various technology events where she gets to learn and share.